Fantasy Football Draft 2013 Insight harnesses our advanced analytics engine to let you see player and team information, research which fantasy football players you want to draft, and finally provides a live 2013 draft that, true to our roots, gives predictive advice on who should be your next fantasy football draft pick! 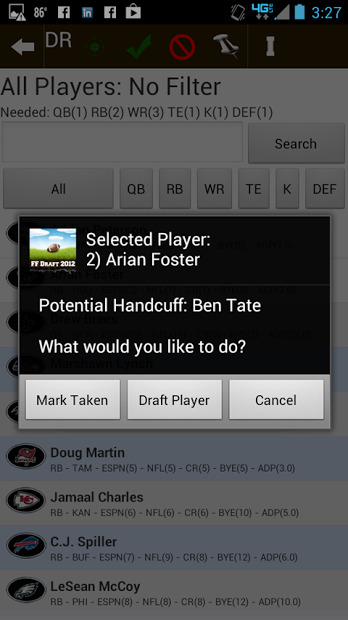 Don't miss the best 2013 fantasy football draft app around with weekly updates, interactive developer feedback, and the best fantasy football draft user experience around. 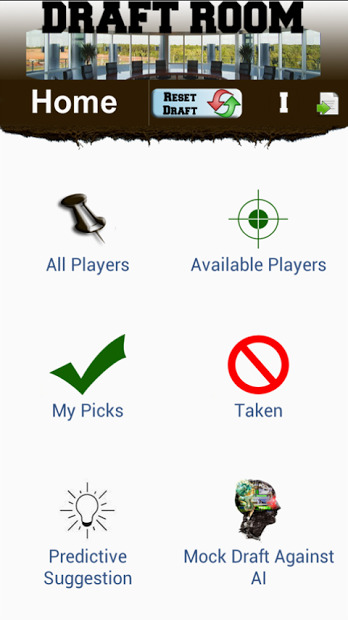 Fantasy Football will never be the same; there is no need for a fantasy cheat sheet or other fantasy football aides, everything you need is right here in our mobile draft solution.